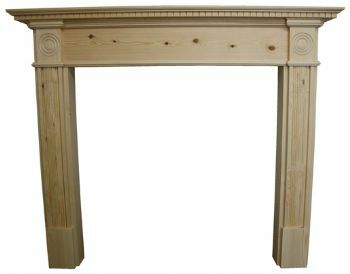 The Roundel Wooden Fire Surround uses carved circles and column like designs to express its beauty, The roundel is hand-made in North Yorkshire by master craftsmen. 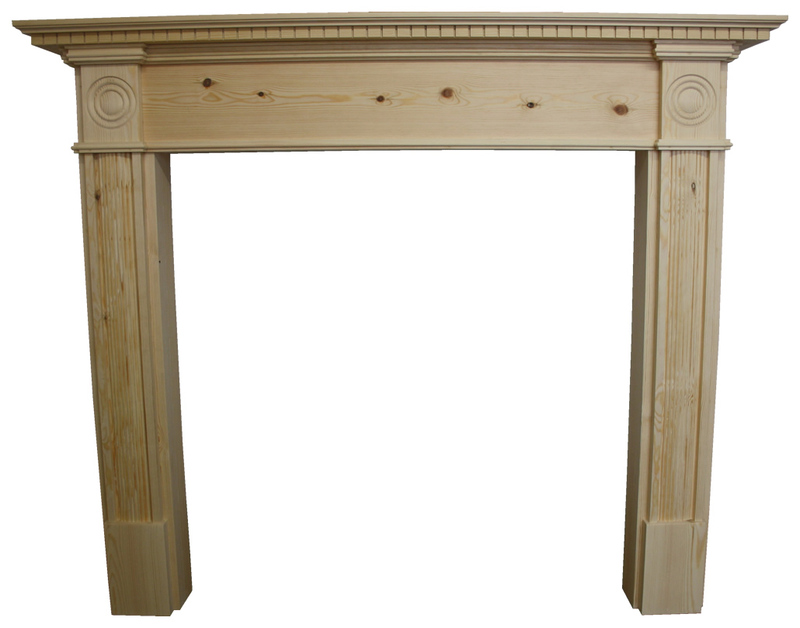 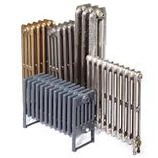 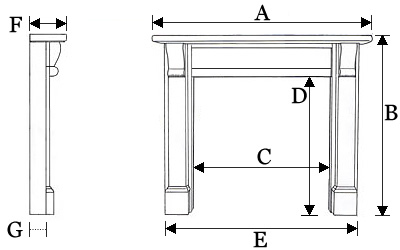 This surround is available in a 44 Inch and a 54 Inch Mantel, if you require custom sizes, please contact us on 01723 321333. 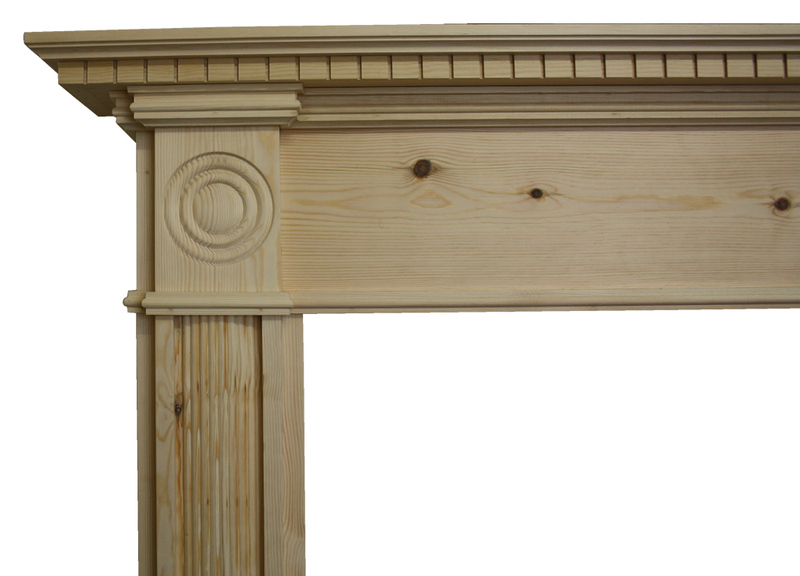 The Model Shown in the images is in Unfinished Pine.